There are 11 posts in this thread, and it has been viewed 9219 times. 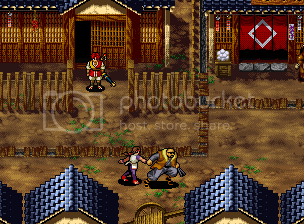 Samurai Shodown RPG. What do you think of it? Let's open again SNK's drawer of obscure games and take a look at an interesting title. Most of you guys know that SNK released some of their games exclusively for other consoles aside from the Neo Geo, and even then only for the Japanese market, i.e. only in Japanese language. 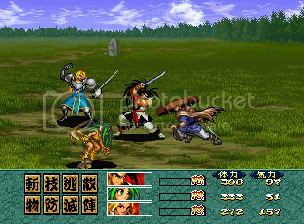 Another game that completely sank into obscurity was Samurai Shodown RPG, released in 1997 for Neo Geo CD, PSX and Saturn. The game was actually already announced in 1995, during the hype-era of the series (just think of SSIII and IV). But due to some development changes, the release date was always delayed. However, after all the game got mixed reviews from players and critics when it came out. The game may have had gorgeous 2D sprites and animations for the time, but the loading times were critized as horrific (not quite a individual case on the NGCD). 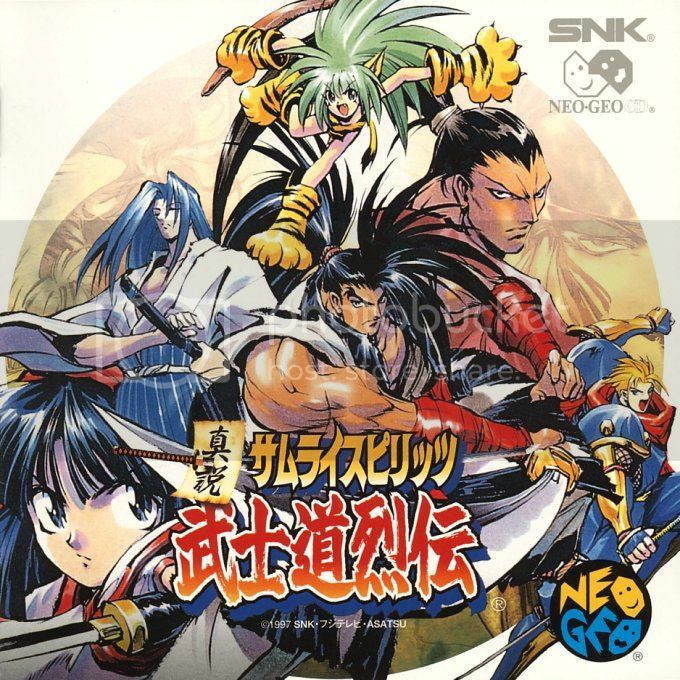 Nontheless the game draw interest of Samurai Shodown fans outside of Japan, who finally wanted to play this obscure title in English language. In recent years there have been several projects to translate the game completely into English, the most popular project being the one from Deuce. Unfortunately, most of these projects have been cancelled or put on ice for an indefinite period of time. 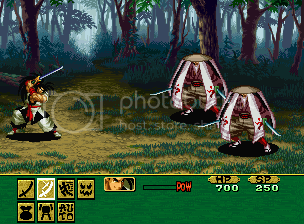 Samurai Shodown RPG, known as Samurai Spirits: Bushido Retsuden in Japan, is a role-playing video game for the SNK's Neo Geo CD system, and was also ported to the Sega Saturn and Sony PlayStation. The basic setup of the game is very similar to most console RPGs, such as Final Fantasy. Your characters roam an overworld, enter towns and dungeons, and get into battles, which occur on a separate screen. The menu options enable equipping of armor and accessories, as well as use of items. At the outset, the player is given the option to choose from six characters to be the "main" character of the story. 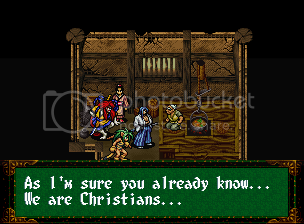 They were Haohmaru, Nakoruru, Genjuro Kibagami, Galford D. Weller, Ukyo Tachibana and Cham Cham. 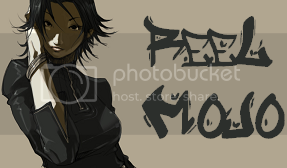 Years ago I posted about Deuce's translation project for this game since it was supposedly almost done. Since then the project has stagnated, although Deuce himself has said that no matter what it will be finished one day. Still, he does professional localization work (or at least he did last I checked) so the fact that other things take priority shouldn't be a surprise. Last I heard the only thing that needed to be done was for the subtitles to be synced to the voice overs. The voice overs are still in Japanese of course, but the text is supposed to be timed so that it'll be read more like how it would be spoken. I really do hope we'll be able to play this game one day. I've always found it interesting. I wonder if SNK had localized it back in the day how popular it would have been. Could its popularity have resulted in other RPGs from SNK? Or would its inevitably horrible translation have held it back? We all know how bad SNK was at English translations until recent years, so perhaps its better that they left this one in Japan. I'd like to give it a go whenever the English translation become available. Wow, it still hasn't been translated? Wasn't that started back in '02/'03? Is this like the Duke Nukem Forever of games to be localized? I enjoyed it just because it was SS themed, but it really is a weak RPG. I would still like to see the English hack get finished and released. DarakuTenshi, I rarely see anyone talk about the gameplay. By weak, do you mean too short/simple, or is it simply a poorly designed grind-fest? Graphically it was weak and the game just was not very fun... then again since I had no story line to go with the game that made it worse. Then what about the overall quality, music, easter-eggs, replay value? Apart from the infamous loading times, I can't imagine it's that bad. And as for the translation, I'm not really sure if we ever experience the release of an actual translation patch. I mean there were several attempts, more than enough, but no results up to this date. Simply dissapointing. It's not a joke, but the only downside is that it's only in f*ing FRENCH! I can't believe it! Don't let the French hear this.....they say it's a world language and the most important one in their vision Mostly proud but arrogance people. What is there to say about this news? Except, I am filled with sadness. I really want to be able to play this game and fully experience it properly, but I cannot do that since I do not speak a lick of Japanese (or French).